Superbly crafted in vibrant hues, the shirt style kurta from Rangriti brightens up your personality even more. 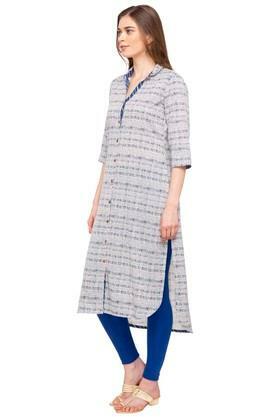 With a lovely printed pattern, collared and three quarter sleeves, this kurta will look great on you. 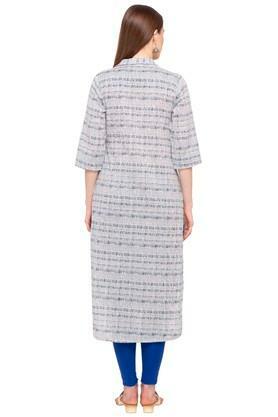 Moreover, it is crafted from good quality fabric which is comfortable to wear all day long. 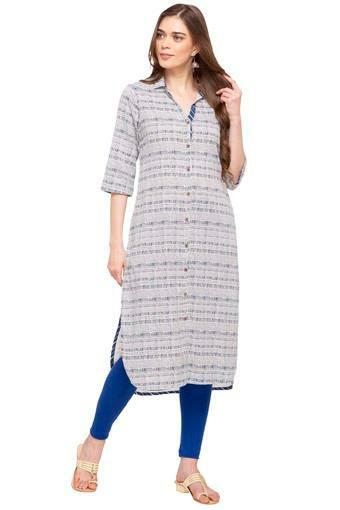 Work a little edge in your casual styling with this kurta. You can team it with a pair of leggings and sandals for a perfect look.